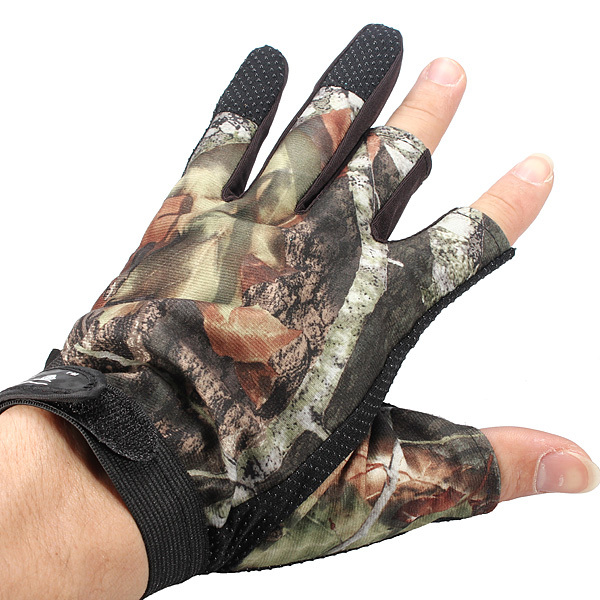 Pack 3 Cut Finger Anti Slip Green Camo camouflage Fishing Gloves. Non-Slip Palm Material, durable, save your bruised finger. Unisize, fits for all people.